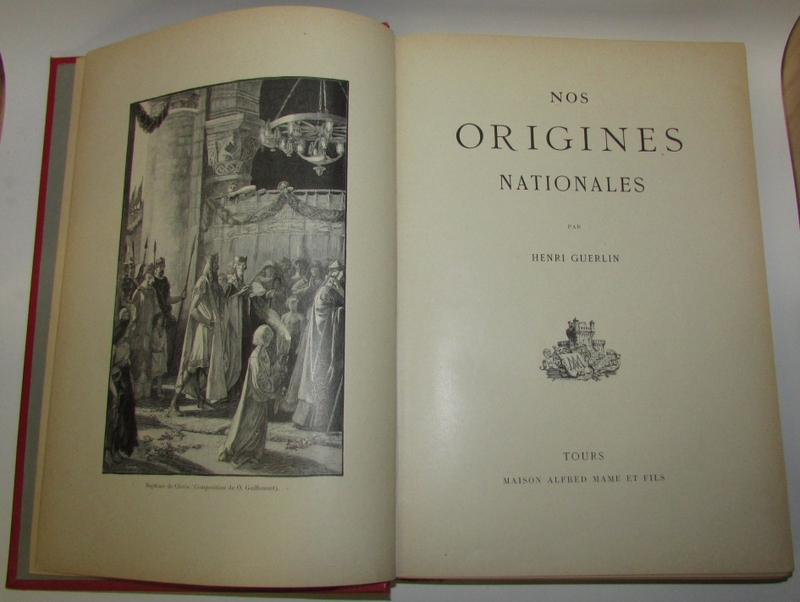 GUERLIN, Henri. 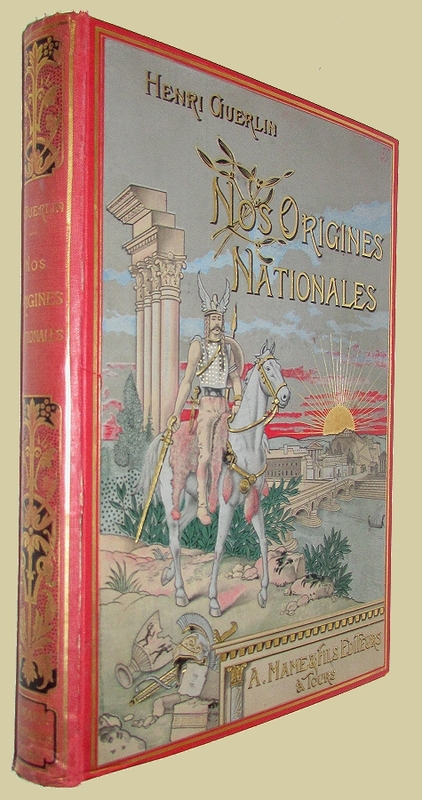 Nos Origines Nationales. Tours: Maison Alfred Mame et Fils, nd. (189-?) 4to., orig. red cloth pictorially dec. in grey, blue, beige, black, and gilt, 391pp. Illustrations throughout the text. Stamps on halftitle and rear free e/paper, student's award of merit bookplate, spine faded with wear to the extremities, still a near fine copy of a very attractive publishers' binding.